Ideal to remove bacteria and germs. Liquid formulation that lifts and dissolves dirt and grime making cleaning tasks easier. Lemon fragrance to leave your home or workspace smelling fresh and pleasant. 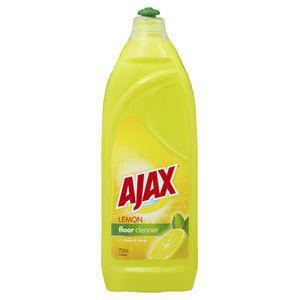 Ajax Floor Cleaner Lemon is specially developed to allow you to clean all your floor surfaces. You can use with confidence on slate, tiles, varnished wooden floor boards and other hard washable surfaces.